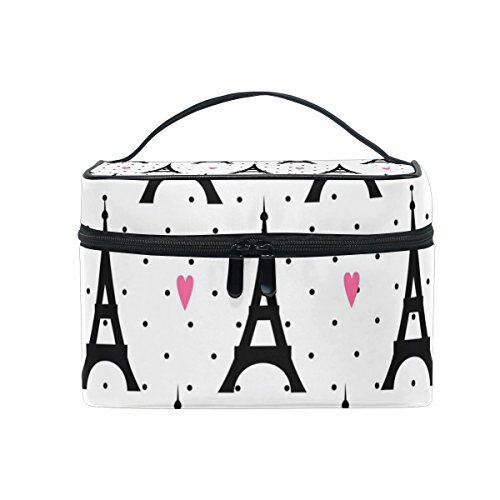 Our toiletry bag is design to help you solve all of these troubles and simplify your life.It is completely chic,it is not only pretty,but also very practical. Just need to put all your cosmetic accessories into this bag.Quick and easy to pack all your needs. Save you a lot of time. Large Capacity ensure you can store more, don't need to worry about you have to leave some of your cosmetics at home.It also is a best companion for business trips, summer vacations, camping, backpacking, and travel. A large capacity of the main bag, a zipper net pocket , three pockets, elastic with four, can be accommodate the girls cosmetics and other small items. Easy to carry when traveling. Product dimensions: 9" x 6.2" x 6.2"
If you have any questions about this product by GIOVANIOR, contact us by completing and submitting the form below. If you are looking for a specif part number, please include it with your message.